Its Diwali, and you haven’t yet decided which gift to buy for your loved ones? This era is all about gadgets, and if you are looking for a perfect Deepawali gift, then this is the right place. we have evaluated different category products for you. 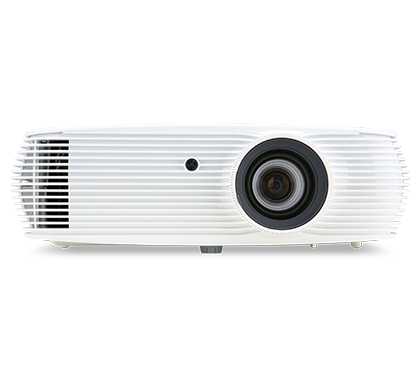 A fully HD projector, A1500 comes with a brightness of 3000 AL and a contrast ratio of 20000:1. The projector stands out with its sleek design which complements any modern home. The curved front profile presents a streamlined image and is cohesive with the dynamic design. The detachable top cover provides more flexibility for installing dongles and help to hide cables adding to the clean aesthetics. The Epson EH-TW650 is a highly practical and compact home cinema projector with great bulb life and inexpensive replacements. It is one of the most economical and smarter ways to get a huge picture for TV and films. It can project a screen of up to 300 inches and comes with 3100-lumen brightness and 15,000:1 contrast ratio, this projector is capable of beaming images to screens that are bright enough to be clearly seen in a day lit room. The ultra-high energy (UHE) lamp light is strong at 210 W and has 4,500 hours and 7,500 hours’ durability on regular and economy modes, respectively. The palm-sized HD projector offers PC-Free multimedia experience. it has LED light source – Long lamp life of up to 20,000 hours. Coupled with wireless connectivity – Connect the devices wirelessly through integrated Wi-Fi and Bluetooth devices. Built-in Android v4.4 – A newly designed, smart UI allows for easy operation. Gamers who want to play on a larger screen can expect full HD technology with rich contrast, the perfect recipe for an immersive experience. Epson EH-TW650 is quite compact. One can easily carry it in a regular backpack for a night of gaming with friends; watch a football match or even a movie at a friend’s place. 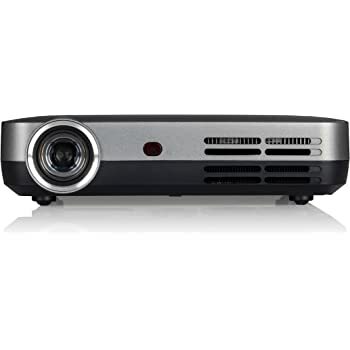 You can spend hours gaming with this Full HD 1080p projector, which is capable of creating an impressive 300-inch display with a 15000:1 contrast ratio. The home cinema projects a vivid screen, whether an outdoor or indoor show, thanks to the 3,100 lumens. We are aware that with Diwali and winter around the corner, pollution levels have started to worsen in the national capital region and are expected to deteriorate further. Thus, a Dyson Pure Cool is a very thoughtful gifting option to help your dear one’s breath clean and be better prepared during the season. Dyson’s new range of air purifiers use intelligent sensors to automatically detect and display, in real time, pollutants such PM 2.5, PM 10, VOCs and NO2 in the home making the invisible now visible. The technological superiority in the new air purifier (Dyson pure Cool) ensures that the air is purified across every corner of the whole room properly. 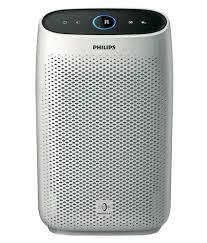 Philips 1000 series AC1215/20 room air purifier is ideal for your bedroom. The portable purifier has the latest technology including night sensing mode, VitaShield IPS Technology with Auto Mode, Allergen Mode and is certified by AHAM, ECARF and Airmid. 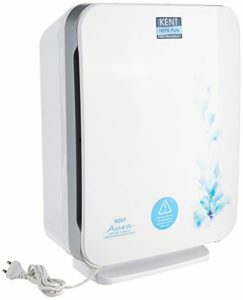 It promises to give cleaner nights and energized days with purifying a room size up to 63 m² with clean Air Delivery Rate (CADR) up to 270 m3/hr. 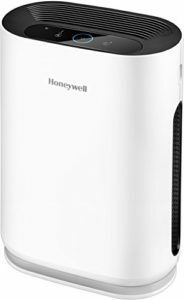 Honeywell HAC25M1201W Air Purifier is another portable room air purifier you can purchase this Diwali. It covers an area of 30 sq. mtrs., making it appropriate for a medium-sized bedroom and living room. Honeywell purifier comes with a CADR of 250 m3/hr and is equipped with 3 stages of an advanced filtration system, which eliminates pollutants over 99 per cent efficiency; it also has a washable pre-filter that removes larger dust particles, pet hair/dander, soil etc. Mi Air Purifier 2S comes with an OLED display, laser particle sensor, 310 m3/hr CADR, three-layer filtration to help you breathe clean, odour-free and allergen-free air. The filter removes dust, hair, harmful bacteria and high-quality activated carbon. You can also control the Mi purifier from Mi home app and Alexa; the app will notify when the purifier requires filter replacement. 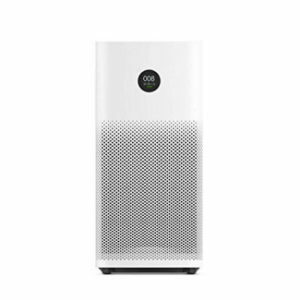 Kent Aura is a manageable, mid-range air purifier. It has verified HEPA dust collection technology that accumulates harmful particulate matter from air and eradicates 99 per cent of those particles with the help of a 3-stage process; it removes PM 2.5 and SPM present in indoor air. It is apt for a room size of up to 270 sq ft and has a CADR up to 180 m3/h. Along with celebrations of the biggest festival of the year Diwali, people at large also get into the cleaning spree right before this auspicious occasion. Dyson, bagless, cordfree vacuum cleaners is very smart and thoughtful gifting option for cleaning not just during Diwali but also helps getting rid of the hidden dust of the household environment regularly. The new Dyson Cyclone V10 TM cord-free vacuum is built around the Dyson digital motor V10, which enabled Dyson engineers to entirely change the format of a vacuum cleaner, and to achieve Dyson’s best ever cord-free machine performance. Dyson Supersonic is an ultimate tool that offers easy styling and care for your hair without damaging them. It is equipped with intelligent heat control that measures the exit airflow temperature 20 times every second to prevent temperatures exceeding 150°C thereby protecting natural shine, and helps reduce static and frizz too. Powered by the Dyson digital V9 motor and Air Multiplier technology, it uses a fast but focused airflow which results in faster drying, is lightweight, designed for balance in the hand, and is quieter than most conventional hair dryers. 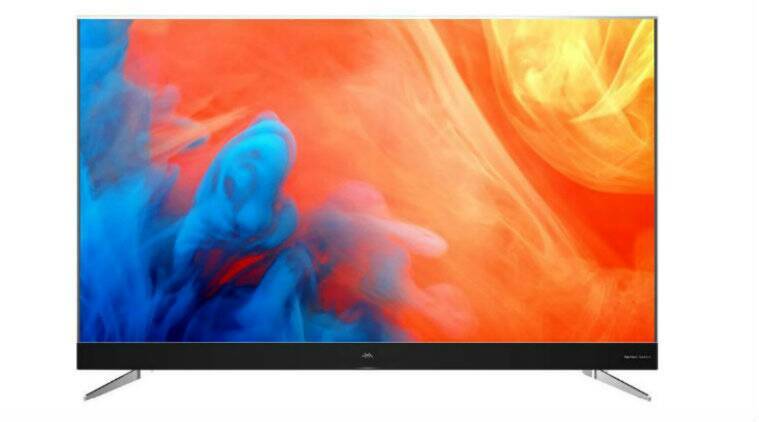 TCL QLED 65X4, India’s first Google-certified Android QLED TV. The latest stellar addition to TCL’s extensive India portfolio will come equipped with Google-certified Android N QLED with Harman Kardon speakers and will have several cutting-edge features. With an in-built Google Assistant, these TVs will allow users to easily find content, as well as other connected devices, via simple voice controls. The 4K UHD and HDR features enable it to reproduce all shades of light and natural colour in stunning detail, providing a truly immersive viewing experience in 3,840 x 2,160 pixels, while the innovative micro dimming technology will provide fantastic colour contrast and vivid picture quality.